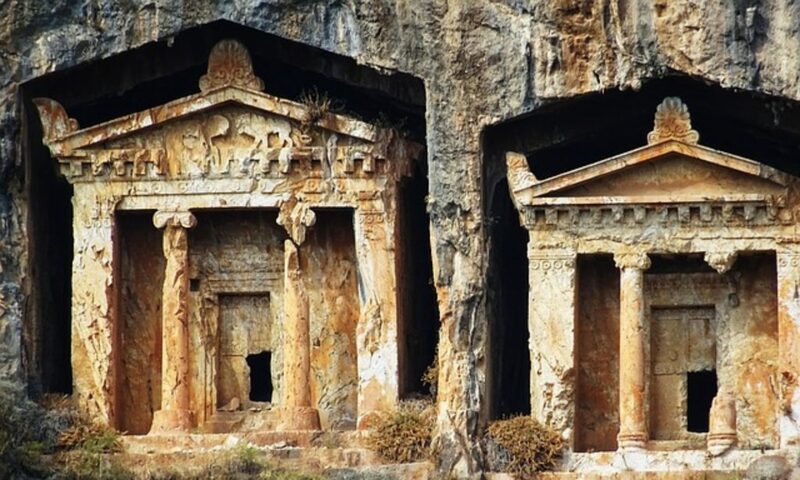 It’s no secret that outsiders are best in giving independent and objective opinion on a place. This year, Russia, the host country of the World Cup 2018 has appeared on close inspection of millions of football fans from around the world. 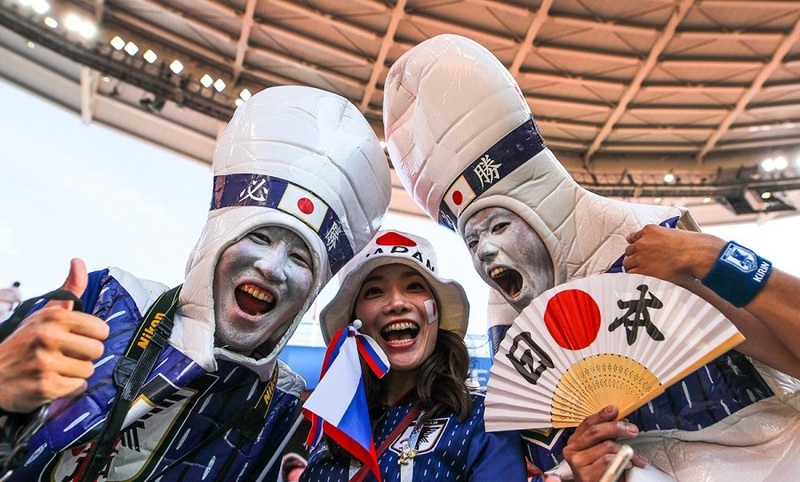 Japanese fans who flooded Moscow, St. Petersburg and Yekaterinburg during the Japanese national football team matches were among the most emotional opinion givers on Russia’s transformation. While Moscow and St. Petersburg are well-known to international tourists and require little introduction, let’s look at viewpoints of Japanese visitors about Yekaterinburg, a city in the center of the Russia’s Ural region, a candidate of EXPO2025. The city hosted the World Cup match between Japan and Senegal. Days and hours before the match thousands of Japanese tourists were walking around the city wearing their national clothes and singing Japanese songs. A truly unusual picture to catch in Russia’s industrial center surrounded by factories and plants. Nevertheless, an impression of a seemingly “gloomy” and “severe” city was completely dispelled. Japanese football fan Takhenao Sudzuki mentioned the extreme cleanness and a modern infrastructure of the city streets along with friendliness of local people: “Everyone is friendly to us, ready to help. Japanese people feel very happy here”. Among prominent guests to the city was a Japanese princess Takamado (the support of whom played the essential role in the Japan-Senegal match and did not let the Japanese team lose)/ Princess marked the dynamic development of the city and a unique combination of historic buildings and high technologies featured in Yekaterinburg. Indeed, many Russian cities have experienced a positive transformation. Yekaterinburg is one of the top of them. 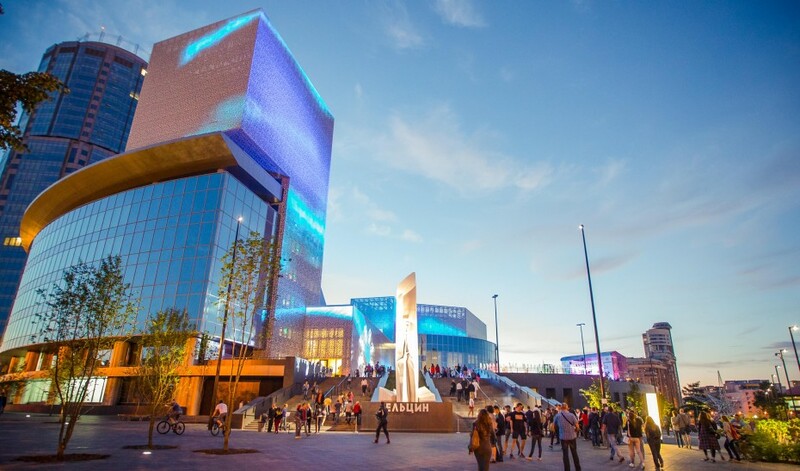 According to Emmet Malone, from The Irish Times, who observed the Japan-Senegal match in Yekaterinburg, “barely 50 meters away from the waterside event was the Boris Yeltsin Centre, a lavish complex incorporating a museum, exhibition spaces, cinema/theatre and shops. It would not look remotely out of place in Moscow, Madrid or Manhattan”. That, by no doubts, poses lots of challenges to “new” Russian cities and Yekaterinburg particularly. The city has joined the final race to host the World Expo 2025. Smart city technologies, advanced transportation and infrastructure- these are the main trumps of Yekaterinburg. With huge amount of work yet to be done, the city authorities and businesses said they would do their best to show smart city technologies of Yekaterinburg to the international Committee. The World Cup has become a perfect test for the city that proved Yekaterinburg’s capacity to host global events. Previous PostPrevious After major blackout in Azerbaijan is Baku’s bid for EXPO2025 still on?